Alternate title: no, the Read-a-thon did not swallow me whole! Carl from Stainless Steel Droppings is hosting a Neverwhere readalong! I am still struggling to keep up with the Bleak House one, but I am appreciating the experience and look forward to more of it: on top of that, it’s Gaiman, and it’s Neverwhere, so I do hope I will be able to participate! The Book Depository is offering a 10% discount on everything, both on the .co.uk and on the .com sites. Time for shopping! Science fiction eBook publisher Tor UK decided to drop DRM, starting from July. I’m not expert enough to comment on it (just started on eBooks and not really enjoying the experience), but I mostly agree with the article posted. May 5th is Free Comic Book Day! Just head to the nearest participating comic book shop and get a free book! This may only be good for me, but… I’m currently working on the first joint review for this blog, and so far I’m enjoying the process! YAY! 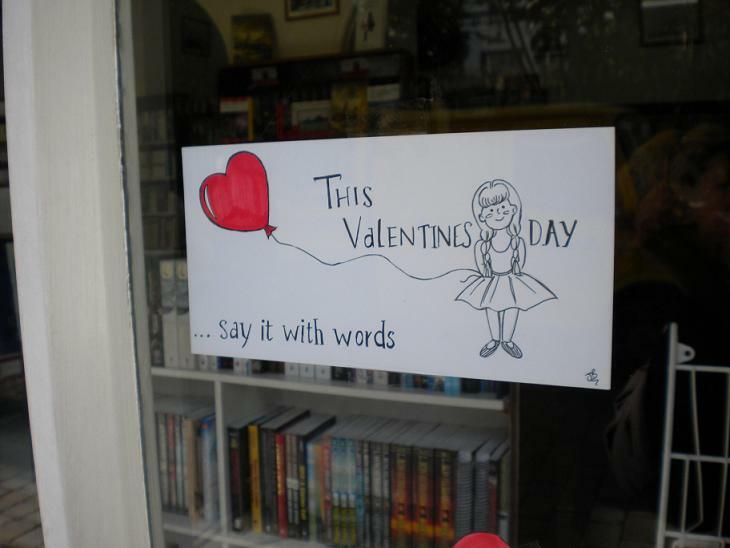 Buon San Valentino, amanti della lettura!